This was a project that I designed for my last stamp camp a couple of weeks ago using cardstock, circle paper punches and googly-eyes. Everyone made their own facial expression just changing the position of the “eye lids”. 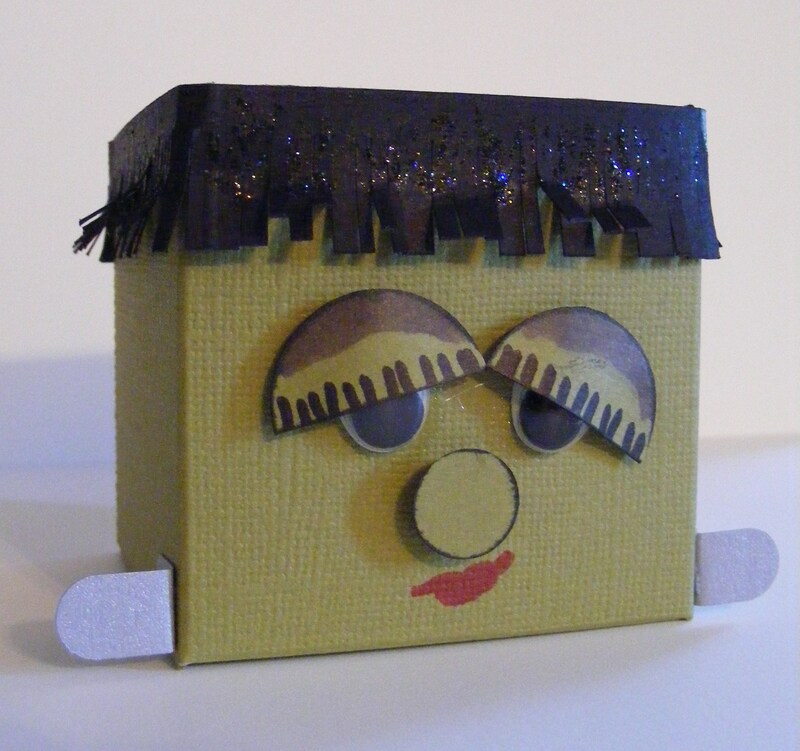 My mom even made hers into a “Bride of Frankenstein”. See all the great projects you miss when you miss a stamp camp! You need to come and join us. 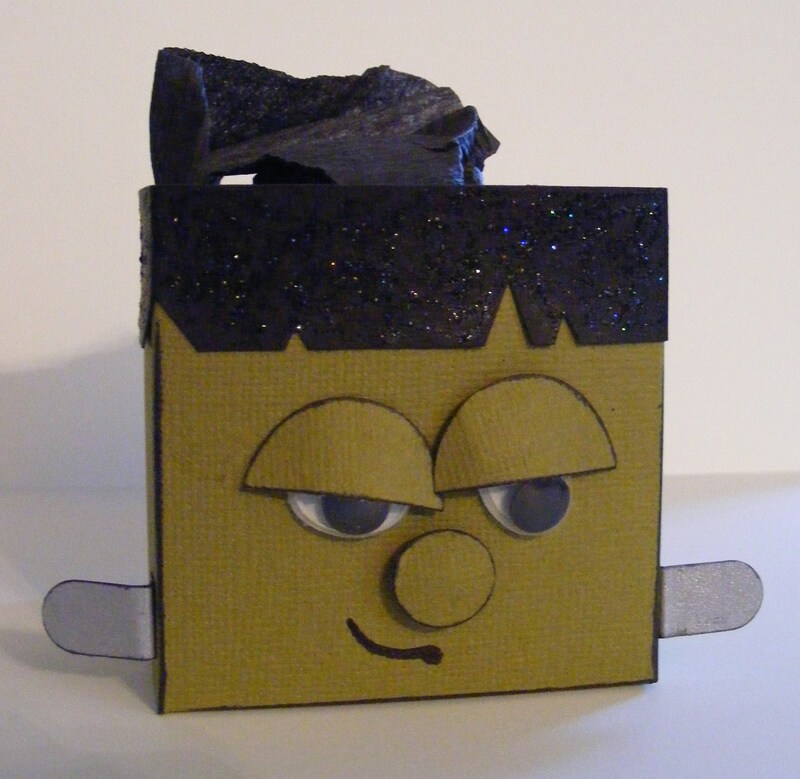 This entry was posted in Rubber Stamped Items, Treat Bags and Boxes and tagged Bride of Frankenstein, Cardstock, Frankenstein, Halloween, treat box. Bookmark the permalink.